The U. S. Army Lensatic Compass conforms to the military standards published in MIL-PRF-10436N. Also, the military lensatic compasses are made in the United States. The current manufacturer of this compass is the Cammenga Company in Dearborn, Michigan. Of note, the previous maker of these compasses is Stocker & Yale, Incorporated in Beverly, Massachusetts. For example, the two lensatic compasses that I own are from Stocker & Yale. Moreover, you can purchase one of these Cammenga military lensatic compasses at the Sigma 3 Survival Store. A lensatic compass is a magnetic compass that uses a magnifying glass to read its scale or dial. The U. S. Army lensatic compass is an induction-damped, handheld, north-seeking instrument with an internal, self-exciting light source, in other words, it is self-illuminating (tritium or phosphorous). The baseplate construction is of high-grade aluminum with a powder coating. The needle moves within a non-liquid filled needle housing. Thus, the military lensatic compass is one of the best overall compasses on the market. Cammenga makes this compass with two options: model 3H with a tritium luminous dial (NSN: 6605-01-196-6971) or model 27 with a phosphorous luminescent dial (NSN: 6605-01-571-6052). Interestingly, Cammenga produces these compasses in the following colors: Olive Drab, RealTree® Camo, Black, and Coyote Brown. The compasses have a free-floating needle instead of the needle floating in a liquid (water or oil). They are also waterproof and dustproof under most field conditions. They will function in temperatures between -50°F (-46°C) and 150°F (66°C). The compass is also shockproof is dropped from up to three feet (90 cm). Additionally, they also have two needle options: Northern Hemisphere and Southern Hemisphere. Moreover, the lensatic compass is the standard compass in all my backpack load outs. I have other compasses, but my U. S. Army lensatic compass is the one that I keep coming back to when I need reliability, durability, and accuracy. Most of all, I do not have to wait for satellite synchronization or linkage with the lensatic compass. There are no extra batteries that need to be carried in a pack because it is an analog magnetic compass. In addition to these features, the military lensatic compass also fits comfortably into the LC-2 ALICE First Aid Pouch or the MOLLE Grenade Pouch. The next type of compass that can be part of your loadout is the mirrored sighting compass. One of the best on the market is the K&R Alpin Sighting Compass. The compass is a product based on input from the German Mountain Rescue Service. These compasses are made in Germany. A mirrored sighting compass is a compass in which the compass dial can be viewed using a mirror while simultaneously sighting an object through the sighing notch or slot on the compass lid. That is why these kinds of compasses are not in the category of being a lensatic compass. The sighting compass is sometimes called the hand compass, forester compass, or cruiser compass. They are one-hand use compasses. Their easy use quickly found them being a favorite of the geology, marine, and forestry professions. The Alpin Sighting Compass has several convenient features. The sighting mirror is polished stainless steel. The baseplate, compass lid, and compass capsule are made of high-impact plastic. The result is a compass that is very durable and lightweight. The needle moves within a liquid filled needle housing. The bezel is self-luminating with two large sighting notches (12 and 6 o’clock positions) on the bezel for night navigation. It also has a clinometer to measure incline while traversing uneven or mountainous terrain. K&R has three measurement options for this compass: standard, metric, and mils. This particular compass is an excellent alternative to the military lensatic compass. The large glowing bezel makes it user-friendly for trekking at night. It is easy to use and probably a better option for those unfamiliar with using the military lensatic compass. A rival to the Alpin is the Suunto MC-2 Sighting Compass. Both of these compasses fit comfortably into the MOLLE Gen II Flashbang Grenade Pouch. The K&R Alpin and the Suunto MC-2 compasses represent the best of the mirrored sighting compasses on the market. Finally, a third type of compass option for your outdoor activity concerns is the simple baseplate compass. The baseplate compass is the most common type on the market. One can purchase these kinds of compasses with various levels of quality and in various price ranges. The primary use for the baseplate compass is in conjunction with a map. Baseplate compasses have a clear plastic base upon which the compass mechanism sits. The sides of the baseplate usually are marked in standard increments. These markings allow the baseplate to function as a ruler for measuring distances on the map. The baseplate also has a magnifying glass embedded for observing small map details. The needle mechanism usually is liquid filled and jewel bearing. The baseplate compass is one of the most versatile compasses that one can own. The Suunto M-3 compasses offer the basic navigational needs for most scenarios and applications. They are small enough to fit easily into a MOLLE Flashbang Grenade Pouch. They come with a lanyard which allows attachment to the shoulder strap of most backpacks. These compasses are easy to use and are an excellent option for the occasional outdoorsman or weekend hiker or backpacker. 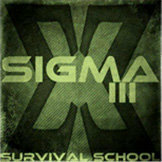 The post Best Compasses Every Kit Should Have appeared first on SIGMA 3 Survival School.